Two of the things that kids and adults like about Halloween foods are the creepy crawlies and the ghoulish items. The problem is that ghoulish or icky, isn’t always appropriate. And to be honest, even I don’t want to attend a party where everything attacks my senses and imagination. 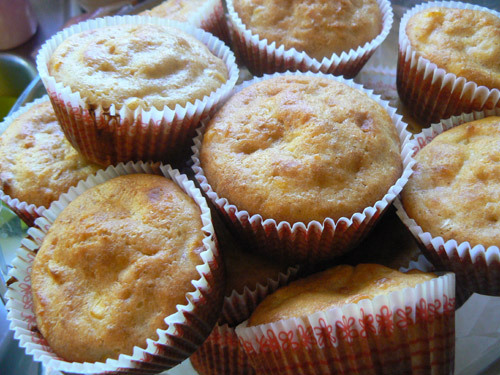 Sometimes I just want to eat that I can eye-dentify, if you know what I mean. The most versatile snack I’ve found that fits this bill is popcorn balls. You add all sorts of flavors and you can “dress” them up with gross creepy crawlies for older people or fun items appropriate for the younger children. 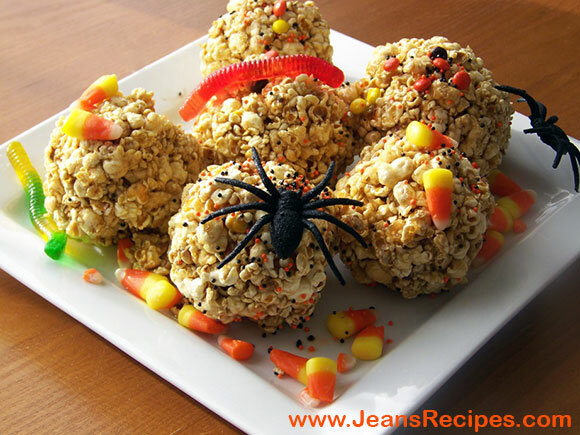 These Halloween Popcorn Balls fit perfectly with any crowd and here is how you can make them for your celebration too. 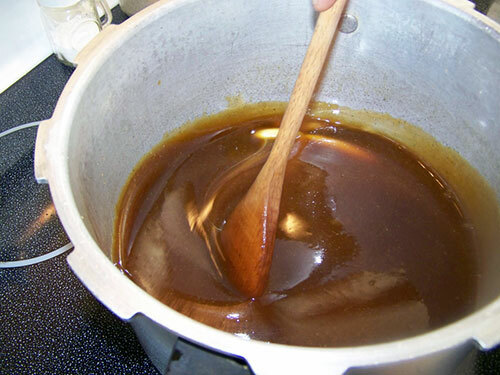 In a large pot over medium heat, add a small amount of oil. Add 1 cup and about 1 cup unpopped popcorn kernels. As popping begins, listen to the speed of the kernel pops. When the speed slows to about 2-3 seconds between pops, popcorn should be ready… This is ONLY an estimate! Do not allow popcorn to burn. Repeat 2 more times or until you have about 48 cups of popped corn. Note: Pour popcorn into a large bowl. If you do not have a bowl large enough, you can thoroughly clean & dry your kitchen sink, lay a saucer over the hole and use it. 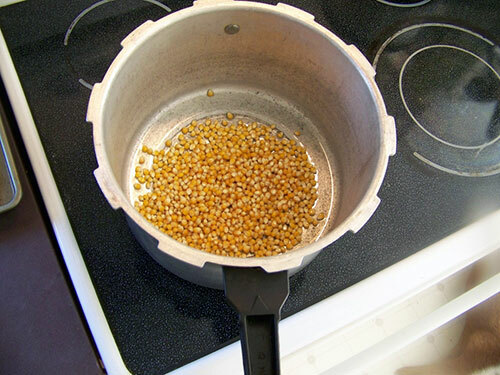 Sift through popcorn to remove any unpopped kernels at the bottom of the bowl. Using the same pan you popped the corn in, add the brown sugar and corn syrup.Next add the butter and salt. Bring to a simmer; continue simmering for about 2 minutes. Remove from heat and slowly pour over popcorn. Using a large spoon, stir until all popcorn is well coated. 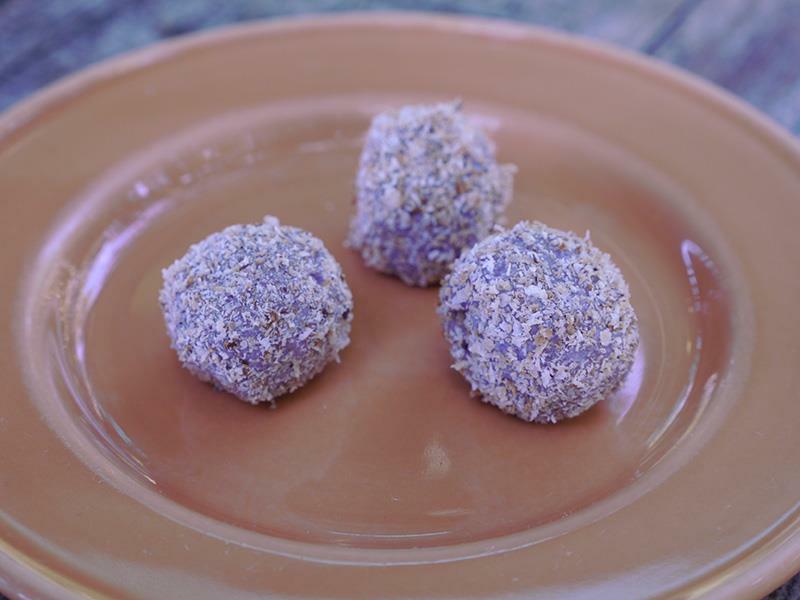 Once popcorn has cooled enough to handle, shape into balls with your hands, pressing tight to ensure they stay together. Decorate with candy corn, candy sprinkles, gummy worms, etc. Note: Adding candies into the mix doesn’t work well as the waxy candy coating tends to make the popcorn balls break apart.